Accommodation for the event will be held in Woodland Court. This residence was built in 2008, at a boundary with National Trust land and adjacent to a designated Area of Outstanding National Beauty. 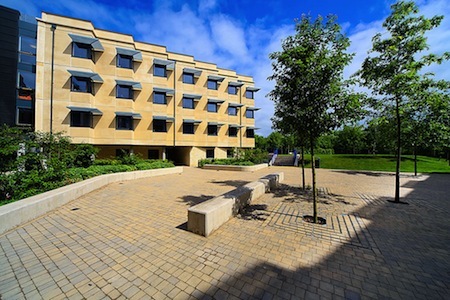 Woodland Court was awarded BREEAM 'Excellent' status in 2008 for the buildings environmental performance. Accommodation is arranged in groups to form self-catered flats and is centered around an elegant courtyard. Woodland Court en-suite rooms cost £41.67 + vat per room per night for a single room. Bookings for conference accomodation can be made directly via the university's accommodation page. There are also a range of available accommodation options in Bath city itself.